When Apollo was separated from his twin brother, he had no way of knowing he’d ever form such a close bond with anyone else. 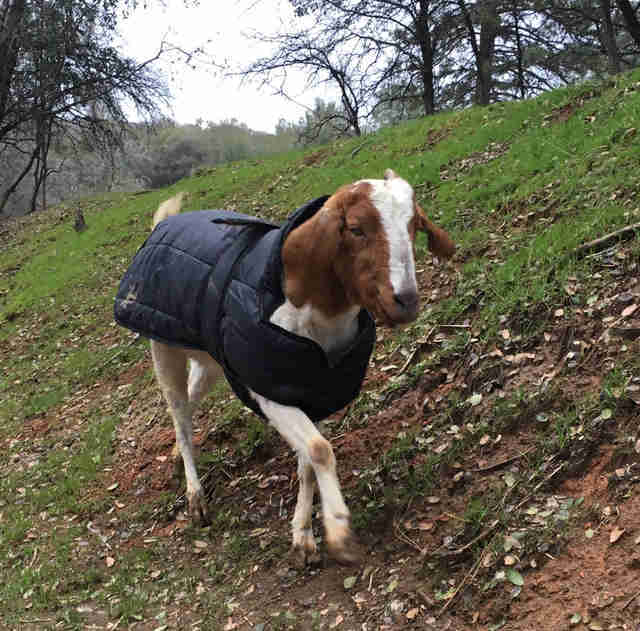 He was raised on a goat farm in a tiny pen in Grass Valley, California, and was going to be sold to a slaughterhouse. A caretaker at the farm noticed Apollo had a severe limp and pleaded with her employer to take him home. She rescued Apollo and took him to the Center for Animal Protection & Education (CAPE) Animal Sanctuary, which rescues dogs and other animals who need a safe place to live. CAPE tried to rescue Apollo’s brother, but the farm wouldn’t release any healthy goats. Apollo was so frightened during his first night at CAPE. He missed having his brother by his side and cried for most of the night. It wasn’t until Apollo was introduced to the goat herd at CAPE that he finally felt at home. 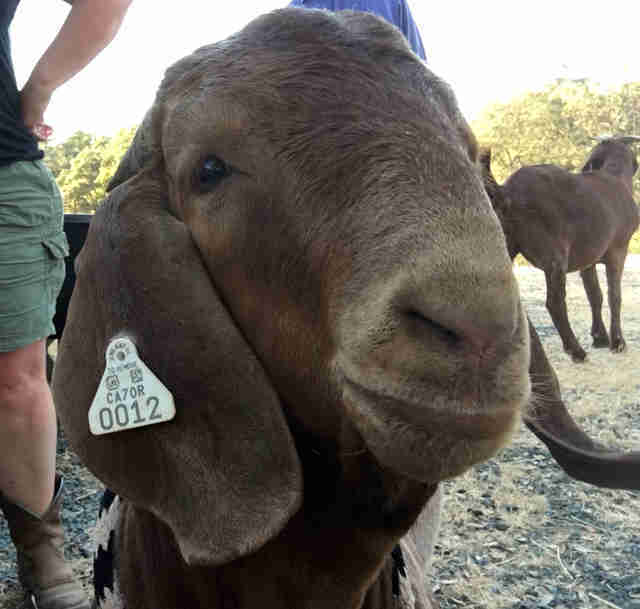 He immediately became close with one of CAPE’s oldest goat residents, 15-year-old Lucy. In 2005, animal control rescued Lucy from a slaughter facility. Lucy suffered from laminitis — a painful condition that causes tissue inflammation within the hoof — and had difficulty walking. 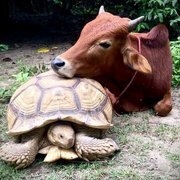 She was in need of a sanctuary home, so CAPE took her in. “Young Apollo giving [Lucy] company seems to have invigorated her,” Frost said. He’s an energetic little goat who loves playing with his buddies in the 3-acre goat pasture at CAPE. Frost says his favorite game is head-butting two of his goat friends, Sydney and Gertie. 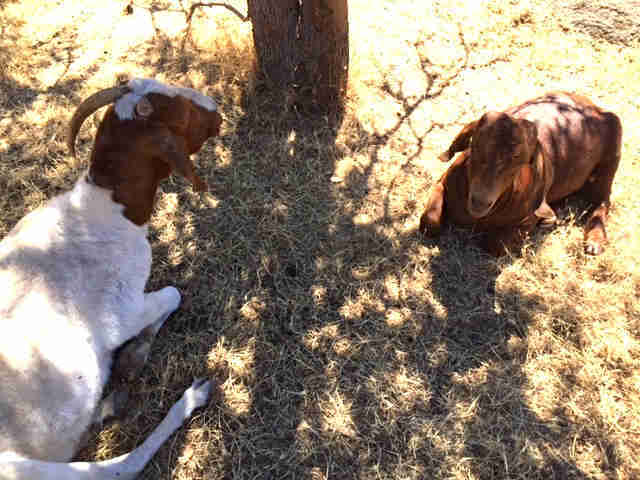 Apollo has a ton of pals at CAPE, like the most dominant goat, Gertie. But after a long day of play, “he [always] ends the afternoon seeking out Lucy for rest time under one of the oak trees,” Frost said. The two are joined at the hip. 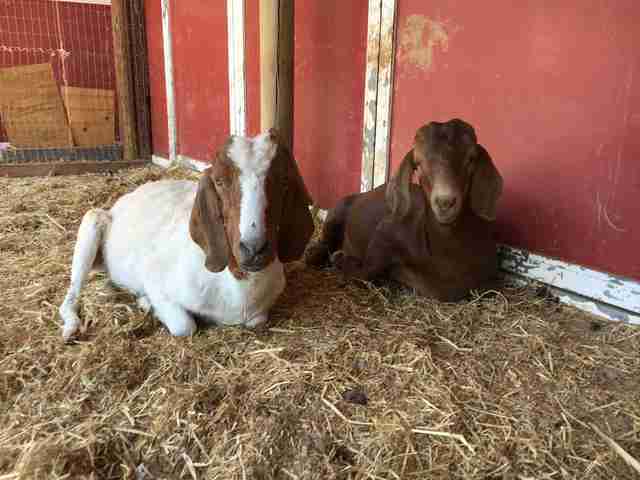 Lucy had her hooves trimmed one day and Apollo patiently waited for her outside the fence. He couldn’t wait to be reunited with her. 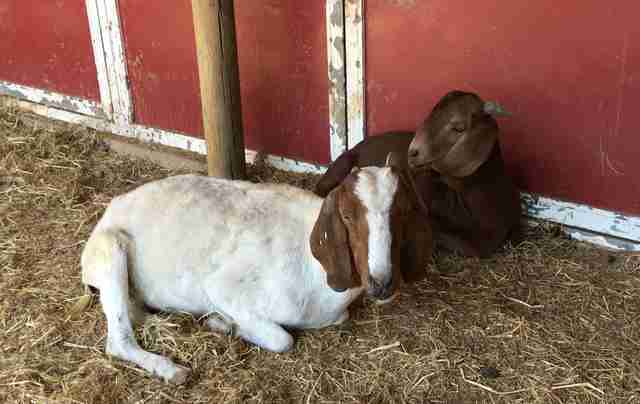 As soon as Lucy was finished, Apollo went into the pen and laid down by her side. CAPE doesn’t know exactly how many hours Lucy and Apollo spend together each day. But “we often find them side by side, either resting or walking in the afternoons,” said Frost. Update 8/7/17: We just learned that Lucy passed away over the weekend. She will be greatly missed by Apollo and the rest of her friends at CAPE. "It was as if her final deed was to shelter and comfort Apollo," Frost said. "When her work was done, she was ready to go in peace." You can help rescued animals at CAPE by clicking here.